I thought you might like seeing the difference in color and texture in the cocoons of two different mason bees. The cocoon on the left is a Blue Orchard Bee. The two on the right are Wool Carder Bees. Click on the image to see it larger, then click once more to see it even larger yet. I found it interesting that the Wool Carder Bee nest had no frass, whereas BOB cocoons are always covered in it. By the way, it's clearinghouse sale time on mason bee cocoons. 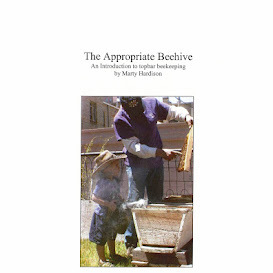 Be sure to watch masonbeesforsale.com for tubes of bees on sale or mountainwestmasonbees.com for loose, inspected cocoons. You can expect a high dispersal rate when purchasing cocoons this late in the year. The ones that arrived hatched will fly off for sure.